The PSS Chronicles is the acclaimed young adult paranormal thriller series written and self-published by award-winning author Ripley Patton. If you’re already familiar with the series, you know how great these books are. They are true paranormal thrillers and almost impossible to put down. Book One, GHOST HAND, was a semi-finalist for the 2013 Kindle Book Review Best Indie Book Awards and it was a 2013 Cybil Award Nominee. It has over 200 reviews on Amazon with a 4.4 overall rating. 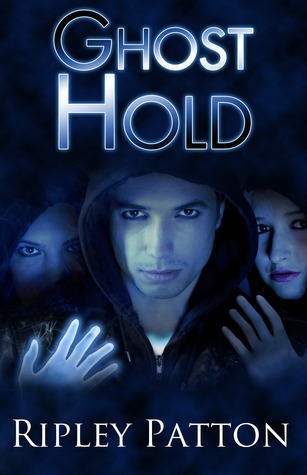 GHOST HOLD has been just as well received with over 40 reviews, only one under 3-stars. Readers often comment that is is even more compelling than the first book. And NOW, Ripley Patton is gearing up for the release of the third book in this series, GHOST HEART, by running a Kickstrater Project HERE. All Ripley’s books have been funded successfully through Kickstarter, which allows readers to pre-order the books in e-book and paperback format, in addition to ensuring she can publish them to the highest quality. Plus, its just fun to be a part of the amazing process of making a book a reality. This time around, Ripley has something special going on. Backers of the project will actually be helping unveil the GHOST HEART cover, one piece at a time, as the funds for the book are raised. To whet your appetite, she’s already let one little corner show here. Just a hint. Just a tease. The rest is up to you and all the backers of the GHOST HEART KICKSTARTER PROJECT. But I really hope it doesn’t take too long because I’m dying to see that cover. If you’re new to The PSS Chronicles, never fear. The GHOST HEART Kickstarter Project has reward options to purchase all the books, both in e-book and signed paperback format for some amazing prices. Not only that, but if you want to test drive the series before committing, Ripley is currently offering the first book of the series, GHOST HAND, FREE on Amazon and Kobo, and for only 99 cents on B&N. Run over to Ripley’s Project now and back GHOST HEART. Tell your friends and family and fellow booklovers. Share the project on social media and help Ripley unveil that cover and blow this Kickstarter Project up. And to find out even more about Ripley, you can check her out on her WEBSITE, on FACEBOOK, on TWITTER, on GOODREADS, and on GOOGLE +. She’d love to connect with you and talk about books, writing, movies, or whatever strikes your fancy. Olivia Black is headed to Indiana with Marcus and the team (and oddly Passion) to rescue the next name on the list of kids with PSS – Samantha James. Only there’s a problem, Sam belongs to a cult of PSS worshippers and has no wish to be rescued. Olivia and Passion must go undercover at Sam’s school to try to get closer to Sam and her inner circle. They then go on a wild ride with the cult, secret ceremonies, lies, deception, and betrayal. Another great read with a fast-moving plot and lots of action. The different manifestations of PSS are fascinating – I never would have guessed the blood one. I liked finding out more about Passion, she’s an interesting character once her protective shields are dropped. Marcus really annoyed me with his keep-truths-from-Olivia attitude. I liked when she got sick of it and dumped him but refusing to leave the river at the end – show some self-preservation! Sam’s informing to her dad about those with PSS was a bit creepy – her telling him everything. About that anyway. Some very interesting revelations happened – about Kaylee, one of the names on the list and who gave the team a warning. It had a very dramatic ending on a cliff-hanger and I can’t wait to read the next and find out what happens and how Olivia rescues herself. I’ve been a witness through social media to the birth of this book; from the writing of an idea into a story, to the editing, designing a book cover, publishing hassles like getting an ISBN; and marketing. I’m delighted to say it’s wonderful and exceeded my expectations. The premise is great; a ghostly hand that can pull problems out of someone. The plot is tightly woven and moves quickly along, with plenty of action and moments where you wonder how they will get out of this. The characters are strong and believable and easily come to life as you read. Revelations are made and there are lots of I-didn’t-see-that-coming moments. There is a tiny bit of romance but it’s all very innocent, building tension and developing relationships for future books in the series. This is definitely a book suitable for teens but enjoyable for adults too. Try it, you’ll love it. I’m eagerly awaiting the next in the series so I can see what happens next. 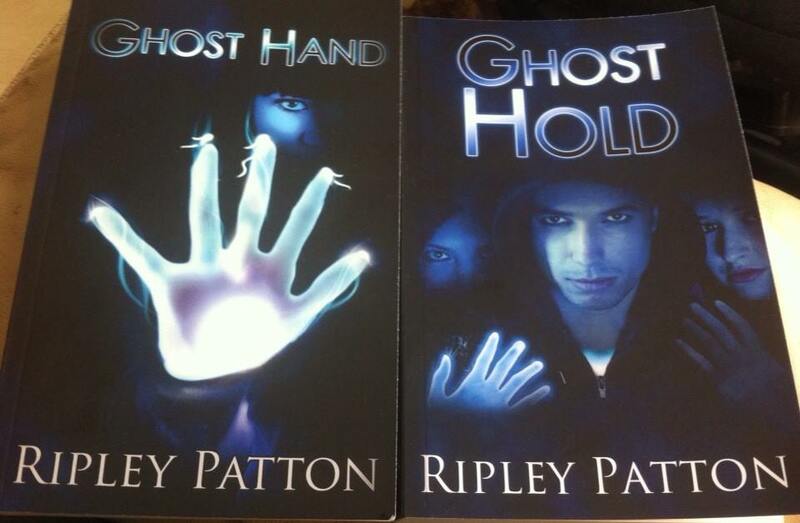 There’s a giveaway of Ghost Hand copies happening here so stop by and get your own copy of a great book.